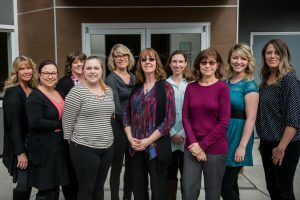 Learn more about our team of elder care professionals. WITH HOME ATTENDANT CARE YOU WILL REST ASSURED! In 1997 Debbie Gann joined Home Attendant Care. She progressed through various positions in the company and worked hard to establish HAC’s reputation of quick response with quality in-home care. As Bruce neared retirement it was clear to him that Debbie would be the one to carry on the strengths and values of the organization. Debbie and Dave Gann became partners with Bruce in 2003 and took over leadership of the organization after his retirement in 2006. Today, Home Attendant Care continues as a locally owned company operating in Whatcom, Island, San Juan, North Snohomish and Skagit Counties with the same vision and values trademarked since the beginning. The company has earned the trust and respect of healthcare industry peers and they take pride in serving and advocating for the rights of our elder population.